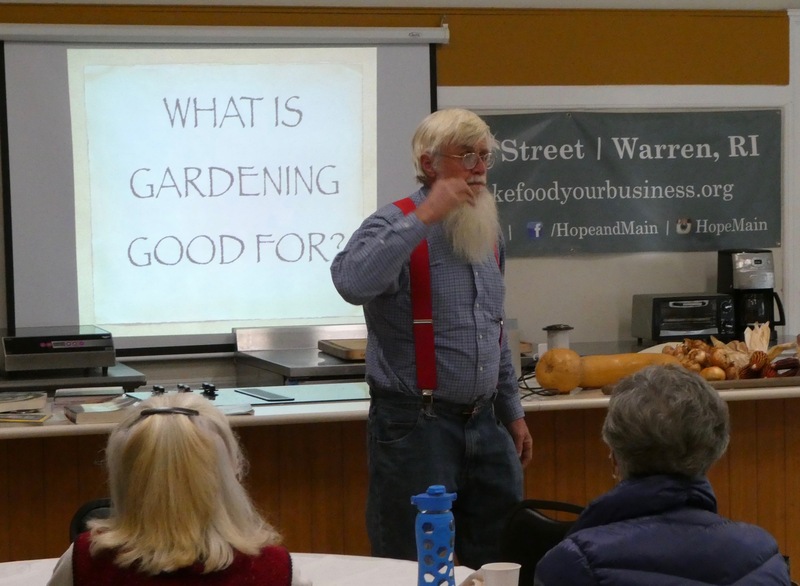 In this Winter Growing on-farm workshop, Mike and Kelli Roberts will show the winter crops in their low tunnels and moveable high tunnels and discuss crop selection, rotation, planting schedules, and tunnel logistics. 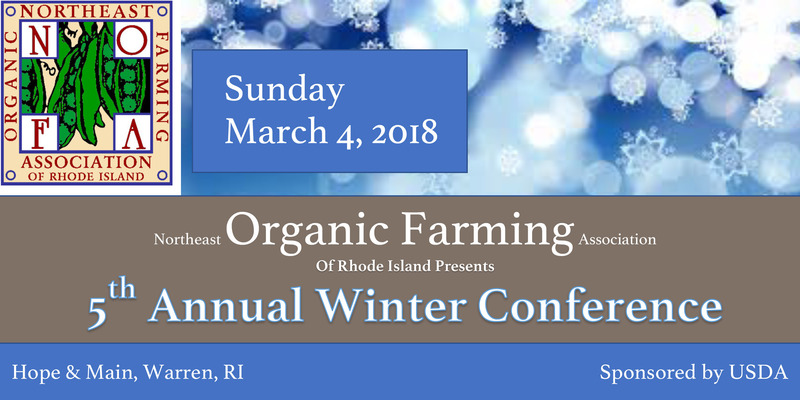 Roots Farm is a certified organic, diversified vegetable farm in Tiverton, RI that focuses on year-round growing using an intensive growing style that aims to maximize efficiency on a small plot of land. Roots Farm also runs a Winter Farm Share Program. This event is free and open to the public. 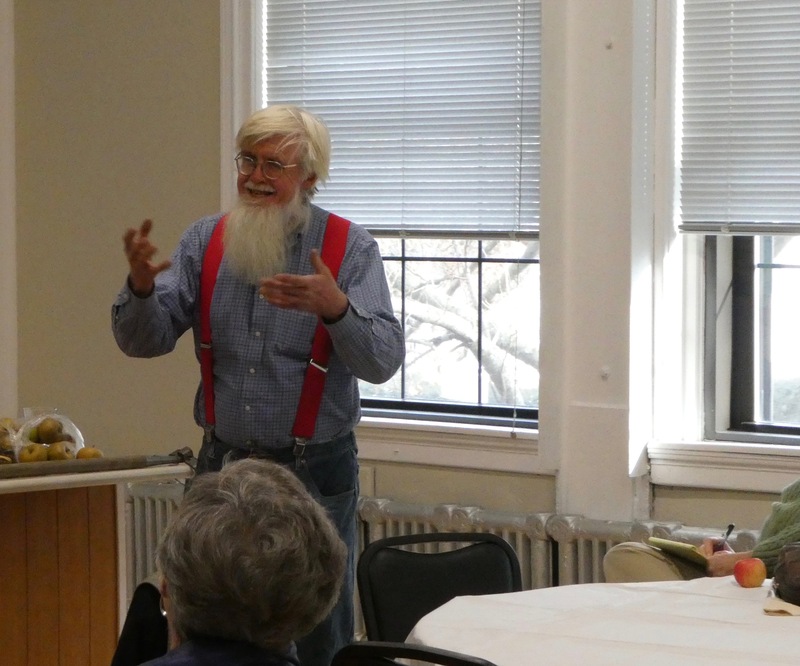 Roger spoke from a global perspective to narrow in on a local outlook and addressed a wide range of questions along the way. It was unfortunate and a disappointment to all that LEE REICH was unable to be there for the day, but we look forward to planning a a future event with LEE. NOFA would also like to give a big shout out and thanks to our President, Jan Martin for her efforts in making the day a success! November is here with temperatures falling, but you can still get local grown at these great indoor Farmers’ Markets. 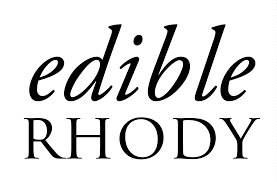 Looking ahead as you prepare for your Thanksgiving meal there’s nothing’s better than a Rhode Island-grown turkey and farm-fresh potatoes, carrots, apples, cider and winter squash They are all available at the winter markets. The South Kingstown Indoor Winter Farmers’ Market in the Peace Dale Mill Complex at 1425 Kingstown Road (Route 108) in Peace Dale is open on Saturdays (check webpage for details). The Coastal Growers’ Winter Market in 650 Ten Rod Road, North Kingstown at Lafayette Mill on Route 102, is open on Saturdays. The Mount Hope Year-round Market at Mount Hope Farm in Bristol is open Saturdays from 9 a.m. to 12:30 p.m. The Mount Hope market is located at 250 Metacom Avenue in Bristol and operates indoors now throughout the winter. 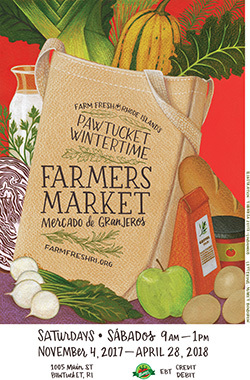 The Farm Fresh RI Wintertime Farmers’ Market at Hope Artiste Village at 1005 Main Street in Pawtucket is open Saturdays from 9 a.m. to 1 p.m. The Hope Valley Indoor Winter Farmers’ Market, located above the police station in the Richmond Community Center at 1168 Main Street in Wyoming, is open Saturdays from 11:30 a.m. to 1:30 p.m. In East Greenwich, the St. Luke’s ‘Arts And Farms’ Indoor Winter Farmers’ Market will be open every Monday from 3 p.m. to 6 p.m. at St. Luke’s Church located at Church located at 99 Pierce Street Street. (401) 203-6559. The Woonsocket Indoor Winter Farmers’ Market, located at the Thundermist Health Center at 450 Clinton Street in Woonsocket, is open Tuesdays from 2:30 p.m. to 5:30 p.m. through June 30. The Aquidneck Growers’ Market, now located indoors at Newport Vineyard and Winery in Middletown, is open Saturdays from 9 a.m. to 1 p.m. The market is located at 909 East Main Road. The Bulk Order Program is a great opportunity for purchasing all your organically certifiable farm, garden, and lawn care products. Products include compost; potting soil; fertilizers; mineral amendments; tools for the farm and garden; animal supplements; and tuber, allium, and cover crop seed. You save as it’s a collective buying program and you don’t have to pay for shipping. NOFA members and non-members may participate. Whether you’re a small-scale gardener, large-scale commercial farmer, or anything in between, you can participate; there’s no minimum order. Current NOFA members, or those who join or renew on the order form, will receive the price listed. Non-members, please include an additional 10% to cover administrative fees. The order is open every year during the month of January, from the 1st to the 31st. 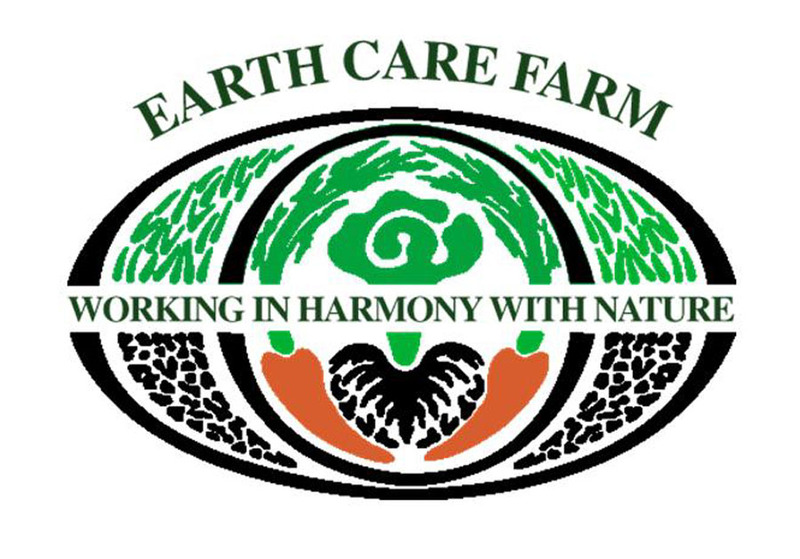 This year orders will be delivered to several sites in MA and at Earth Care Farm, 89A Country Drive, Charlestown, RI.